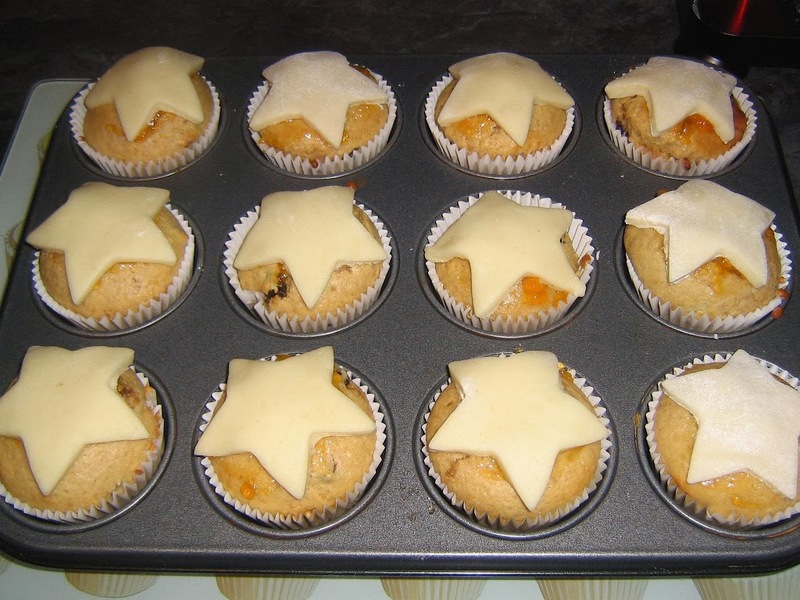 Every year we like to make Christmas muffins at this time of year – ideal for packed lunches and much more child friendly than a slab of Christmas cake! Mix together flour, baking powder, spices, sugar and dried fruit. Melt the butter in a saucepan, then add to the dry ingredients. Spoon the mixture into muffin cases, and bake at 200*C for 15 minutes. Cool on a wire rack and decorate as you would like! 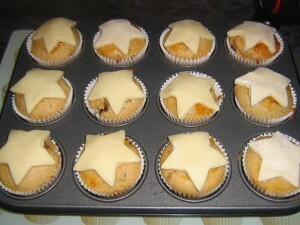 We spread a little jam on the top, then add marzipan shapes to the top. A lovely, quick and simple alternative to traditional Christmas cake, and lovely for lunchboxes or just a snack! What is your favourite thing to make at Christmas? So need to try these, fancy sending some over? Love the marzipan shapes, we got sent loads by hubby’s German auntie and now I know what I can do with it! These look wonderful-so accomplished and pretty! Thanks for linking up to #tastytuesdays. Please do add my badge or link back at the end of the post if you can, thanks.